This is a well-established 5 operatory practice with 1100 patients seen in the last year and more than 1000 patients on recall. This is an opportunity for both individual dentists as well as ownership groups. The practice is located on a major thoroughfare in a professional building in Ottawa’s densely populated Downtown Core with retail/commercial surroundings. It’s a 2,043 sq ft suite with a staff area, lab area, sterilization, and private office. The owner is flexible about staying on to assist with a smooth transition and will be available part time for at least 2 years post transition. There will be an opportunity to view the practice by appointment only on December 4th. 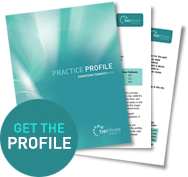 Please review this practice profile closely. If you are seriously interested in this practice based upon the profile, and already have a Confidentiality Agreement on file with us, we can provide you with a full practice appraisal.